So much effort in fact that we recently developed our own web-based optimization tool. The tools helps you realize cost savings through accurate optimization, but that’s not all: it can help you avoid HUGE miscalculations that could jeopardize your entire project. I’ll explain how it works. The tool is called DICE, and it’s primarily used for optimizing the cut length of stock aluminum used in windows. But DICE can also be used for optimizing the cutting of other linear materials, including other metals, PVC pipe, tubes, extrusions, channels, cables, and more. So why is this tool important? When you order stock lengths of material for framing, you want to make sure you order the right amount of material. Too much leads to waste. And too little leads to delays when you need to order more. You need exactly enough material to account for cutting losses and small, but acceptable, variations in cut lengths. Of course, you could do your estimating by hand or use a quoting software. But DICE will give you more accurate results. DICE uses a phased approach to material ordering. This is necessary for larger or more complicated projects. In these cases, your team won’t be cutting all your material at once, which means you need to optimize your material based on each individual phase (not based on the entire job). This will ensure you have exactly enough material for the whole project. This optimization process lets you order exactly what you need for each phase. And the DICE software tells you how to cut your pieces in the most efficient way possible (resulting in little to no unusable material lengths). 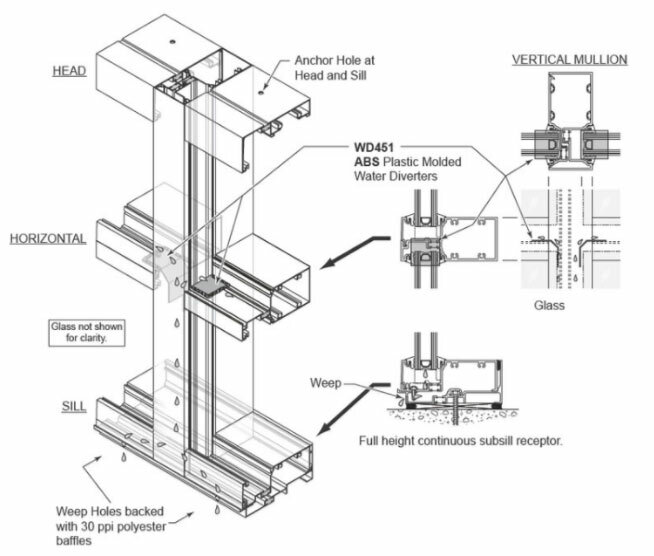 To see how this works, here’s an example of a storefront window fabrication. Once you have a list of pieces, it’s time to identify the length and number of cut pieces you need for each individual component. Then you simply input your part list (including lengths and quantities) into DICE, which then outputs the total number of stock lengths you’ll need to order.